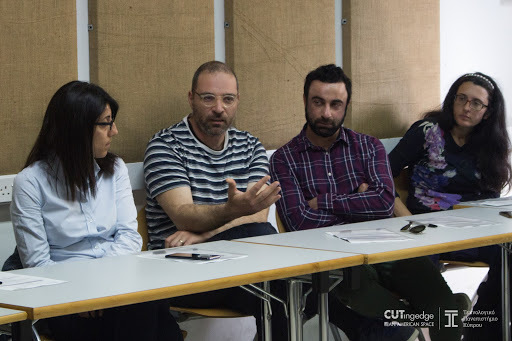 The fourth meeting of the INTELed Teacher Professional Development (TPD) program was organized and delivered successfully by the INTELed CUT research team (Dr Andri Ioannou, Dr Yiannis Georgiou, Mrs Nicoletta Pantela), on April 13th 2019, at the Cyprus University of Technology. 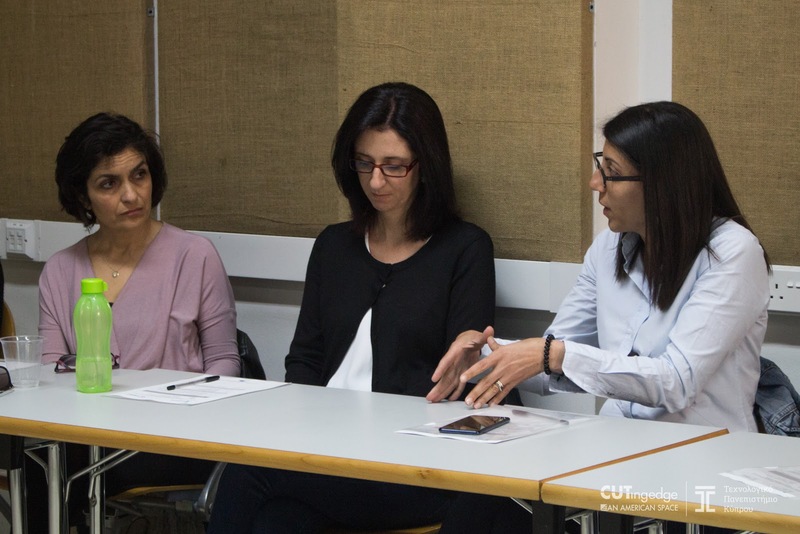 The meeting was attended by 17 in-service primary education teachers, working with SEN students in mainstream classrooms and special units. 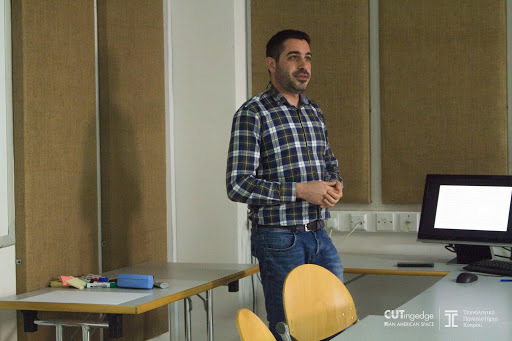 The meeting began with a presentation by Dr Yiannis Georgiou (Postdoctoral researcher, Project manager) providing an overview of the INTEled school pilots. 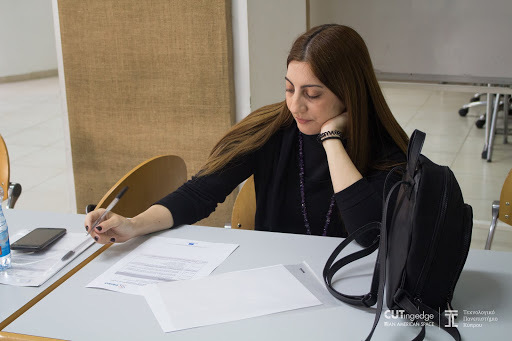 The presentation focused on the Strengths, Weaknesses, Opportunities, and Threats (SWOT) of the INTELed school pilots, as these had been reported by the participating teacher during individual reflective interviews at the completion of their pilots. 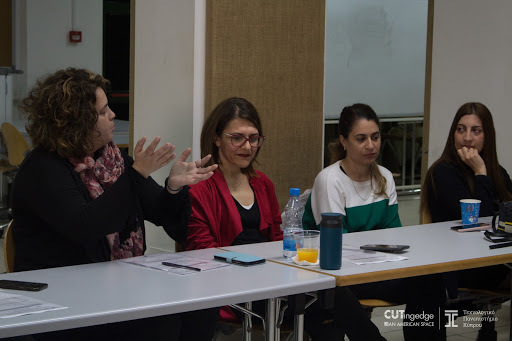 The presentation was followed by a reflective activity, moderated by Dr Andri Ioannou, during which the participating INTELed teachers were encouraged to discuss lessons learned from their experiences and share good practices that emerged from the use of the INTELed method in authentic school environments. 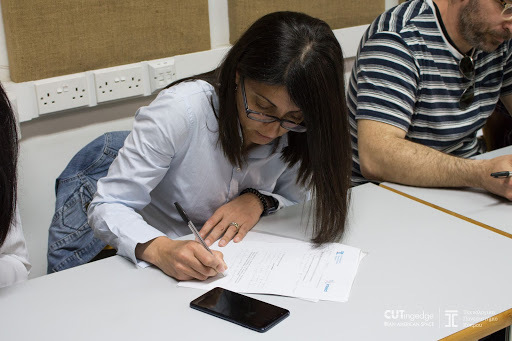 In particular, as part of this reflective activity teachers were asked to report a set of best practices and strategies that could contribute to the better integration of (a) embodied learning technologies and (b) students with disabilities in their future lessons. 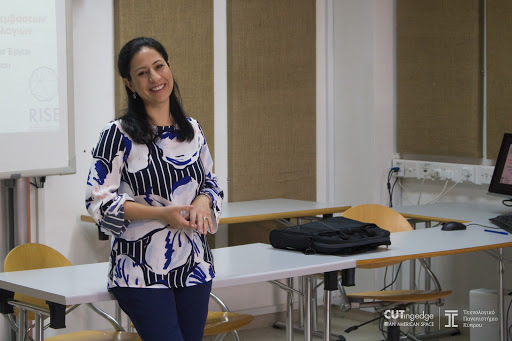 The meeting concluded with an assessment activity during which the participating teachers were asked to evaluate the INTELed professional development programme as well as its impact on their professional practice. 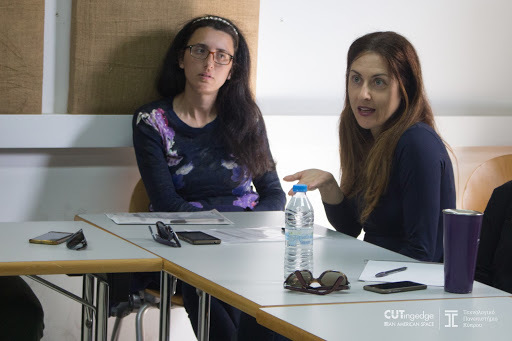 On May 25th 2019, the INTELed teachers will join us for our INTELed multiplier event at the Cyprus University to Technology. Stay tuned by following our INTELed Facebook page (https://www.facebook.com/INTELedErasmus/) for our upcoming news and updates!